Anyone who has ever witnessed a traumatic event understands the mental anguish it can cause. You don’t have to be physically injured to suffer a mental blow. In workers’ compensation, we often do a great job caring for the physical injuries. But do we adequately care for or, for that matter, even acknowledge those unfortunate individuals who witness a catastrophic event? Too often the answer to both of those questions is no. It doesn’t have to be this way. Addressing bystander trauma through crisis intervention can be good for workers and for the workplace. Nine in 10 people in the U.S. will be exposed to at least one traumatic event in their lifetimes1. For some, the events will carry lasting consequences. 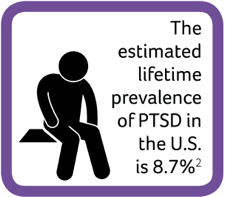 The estimated lifetime prevalence of post-traumatic stress disorder (PTSD) in the U.S. is 8.7 percent2. For first-responders such as paramedics, the rate is as high 20 percent3. Some of these traumatic events can unfold at work. Nearly two million American workers report having been victims of workplace violence each year4. Even that large number understates the problem because many cases go unreported. Research has identified factors that might increase the risk of violence for workers in some situations. According to the Labor Department, violence and other injuries by persons or animals increased 23 percent to become the second-most-common fatal event in 2016. 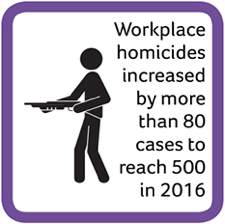 Workplace homicides increased by more than 80 cases to reach 500 in 2016. More than one-third of deaths were among older workers. Those age 55 and above suffered nearly 1,850 fatal injuries—the highest number for this group since reporting began in the early 1990s. The numbers around workplace fatalities are sobering yet even those don’t represent the full picture. For most every death, there are knock-on effects for those who are injured, for those involved and for those who simply witness these events. In workers’ comp, we know what to do when someone is catastrophically injured. We can marshal an array of clinical resources to coordinate care for the injured employee. But oftentimes those who witness a catastrophic event without sustaining physical injury might be overlooked. Crisis intervention seeks to address the needs of those who are exposed to a critical event. Depending on the jurisdiction, psych as a primary diagnosis may be considered compensable. Regardless, a traumatic event can disrupt the workplace. A psychological crisis is a response to a critical incident that might disrupt a person’s psychological balance and usual coping mechanisms. Trauma can disrupt a worksite in many ways. Employees who witness a traumatic event may experience acute psychological crisis. An employee’s response might vary depending upon factors such as her proximity to an incident or his ability to cope with stressful situations. A crisis situation at the worksite can reduce employees’ motivation, hamper productivity, and even cause some people to leave a job. These effects can ripple through the organization. Chaos and disorganization can harm overall productivity if employees are unable to cope or are absent from work. Eustress — This is the good stress that motivates the person to move forward. Distress — This is excessive stress though most people show resilience at this level of interference. Dysfunction — This is when a person is impaired to the point it affects his ability to perform normal activities of daily living. Is there anything we can do to support employees who witness a traumatic event? Can we, in some cases, prevent the normal distress reaction from developing into PTSD? The answer is yes. The field of crisis intervention dates to WWI. However, the field of disaster mental health has been developing since the 1990s. In that time, groups including the American Red Cross and the Salvation Army, among others, have created disaster-response teams. Critical Incident Stress Management (CISM) is a comprehensive, systematic and multifaceted approach to managing traumatic stress within an organization or a community. It focuses on assisting both individuals and groups that have experienced a traumatic event. The goal is to mitigate the effects of a critical incident and assist employees in recovering as quickly as possible. Often referred to as psychological first aid, crisis intervention can be administered with small groups (e.g., debriefings) or with individuals. This allows employees to share their thoughts and feelings about an incident while a crisis interventionist watches for signs of stress and discomfort. This professional can then offer to hold one-on-one meetings with any employee who wishes to participate. Typically, it’s best to limit individual meetings to one or two sessions. Anything more than that likely would require psychological intervention through the employer’s employee-assistance program (EAP) or through a health plan and/or community resources. Keep in mind that most individuals exposed to a traumatic event will need some level of intervention. Participation should be voluntary unless the individual displays maladaptive behavior or appears as though he may harm himself or others. And someone should not be required to talk about or relive an event unless she volunteers to do so. Being forced to do so can risk reintroducing the trauma. The goal of any crisis intervention is to mitigate the harmful effect of traumatic stress, to provide support, and to offer encouragement in order to accelerate recovery. Doing so is not only the right thing to do. It also can mitigate losses to productivity at an individual and organizational level. And crisis intervention should seek to make appropriate referrals to qualified mental health professionals and other providers when indicated. If the needed resources are not available through an EAP or through an employer health plan, a referral should be made to community resources. 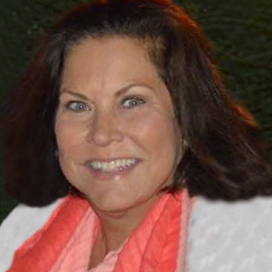 Tammy Bradly is vice president of clinical product development for Coventry. Bradly is a certified case manager with more than 25 years of comprehensive industry experience through service delivery, operations management, and product development. She holds several national certifications, including certified case manager (CCM), certified rehabilitation counselor (CRC) and certified program disability manager (CPDM). Coventry offers workers’ compensation cost- and care-management solutions for employers, insurance carriers, and third-party administrators. With roots in both clinical and network services, Coventry leverages more than 30 years of industry experience, knowledge, and data analytics.